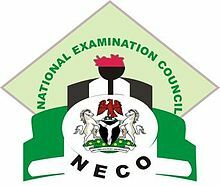 NECO was created by former Head of State Abdulsalami Abubakar in April 1999. It was the first Federal organization to offer subsidized registration to academic candidates in Nigeria. It is headed by a Registrar, Promise Okpala, appointed by the President under section 9(1) of its establishing Act. It has six departments, each headed by a director. Each Department has divisions, composed of units. A team of directors and a registrar are the governing body, which is headed by chair Paddy Njoku. Nigeria offers six years of basic education, three years of junior secondary education, three years of senior secondary education, and four years of tertiary education. Mathematics and English language are compulsory. Junior Secondary Certificate exams are intended for candidates in the 3rd year of their junior secondary education in Federal Unity College and other Federal secondary schools. Private secondary schools also take part in JSCE. In state secondary schools, JSCE examinations are conducted by the state government. The National Common Entrance Examination is administered to pupils in their 6th year of basic education for admission into Federal Unity Colleges. Two examinations are held annually.